Mode of transport: I flew Ryanair but a number of low-cost airlines fly there including Jet2 and Monarch. Once we touched down I hopped on the airport bus to actually get myself to the city. Tickets for this service can be purchased in the arrivals hall. So if you’re not freakishly organised like me, do not panic! Embrace touristy things: I only had one whole day in Venice so I was all about touristy activities! See the Rialto Bridge – Life seen from the Rialto Bridge is truly magical. I could stand on it for hours and just watch the world go by. 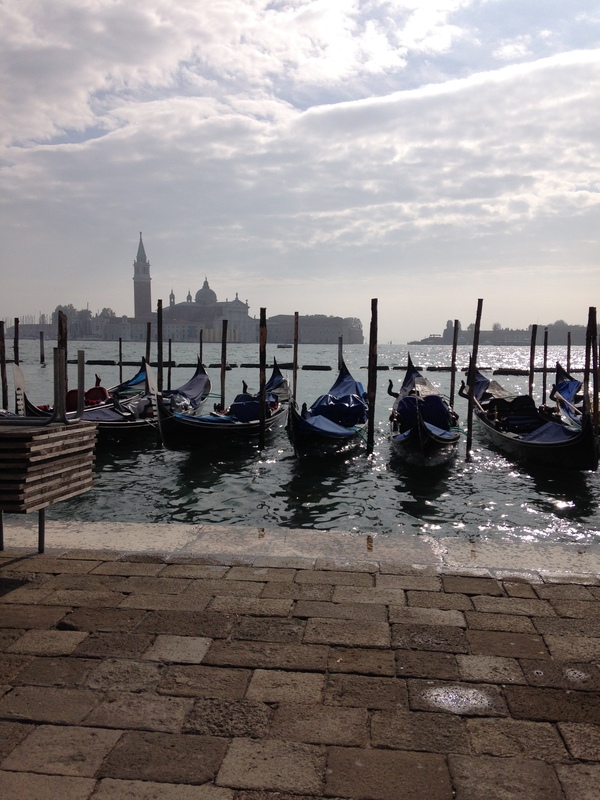 Visit the Piazza Di San Marco – I had seen this in so many movies. It is another great place to people watch. Grab, a drink, live life like an Italian would in a piazza, socialise in your beautiful surroundings and bask in the sun. Sail down the Grand Canal – I don’t know if this is something everyone wants or if it was just a silly little dream of mine. But I discussed earlier on how I made this happen. See the Basilica Di San Marco – I only ogled the outside of this beautiful building. I wasn’t dressed appropriately to go inside. But it is on my list for the future. Get lost in the back streets – Venice is a city that you will get lost in! Not in the romantic sense, in the literal sense. But believe me you will have no problem with it. This is how you see the inner workings of the city. We all know Venice is a city on water but you never really think about how daily life works…Police boats and builders in boats did make me giggle. Campanile Di San Marco – This is not the original bell tower, the first collapsed and was later replaced. There is a lift don’t worry you don’t have to climb. The view is spectacular and fun fact for you: There are no canals visible from the bell tower. I will always have a special place in my heart for Venice. After wanting to go to Italy for years, Venice was my very first Italian adventure. It is a magical mythical Disneyland for grown ups – I hope to go many more times in the future. Everyone should visit this surreal city. After all, it won’t be there forever and in the end we only regret the chances we don’t take.